You can choose the length of this tie down strap as well as the color, hook type, and ratchet type. The dual fittings gives greater flexibility for multiple applications. They are versatile and easy to use. They are used like a belt on your pants; attach each end to a point and pull the webbing through the ratchet and crank to tighten. The ratchet allows you to get these straps tighter than the cambuckle straps. Too short? Too long? Call us, we can do custom lengths! 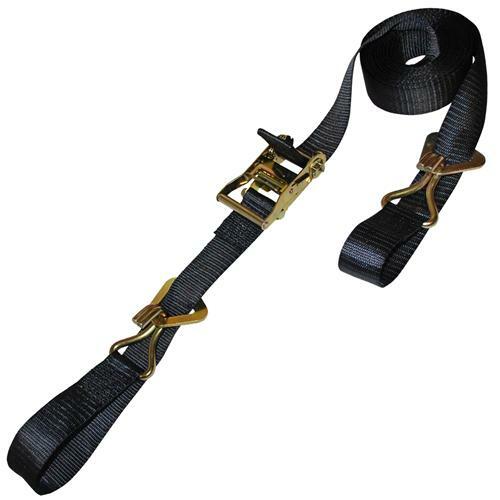 For 2” Heavy Duty Ratchet Straps with Wire Hooks click here.